When we say ELEVATED, we mean it! We've got a jam-packed schedule with close to 100 events planned next week and we look forward to celebrating with you! Nashville Fashion Week 2018 officially kicks off on Monday, April 2 with the first of our Learning Labs and quickly ramps up with over fifty "Shop Nashville Week" events, five more Learning Labs, Fashion Talks with Fern Mallis and Anna Sui, designer Pop-Ups and four nights of runway shows featuring twenty-four designers with musical guests Escondido and Karen Elson at OZ Arts Nashville throughout the week. There is literally something for everyone! ELEVATED Access Passes have SOLD OUT! Only a few standing room tickets remain for the Nashville Designer and Emerging Designer Showcase and the Ready-to-Wear and Finale Show seated tickets featuring Anna Sui are going fast! 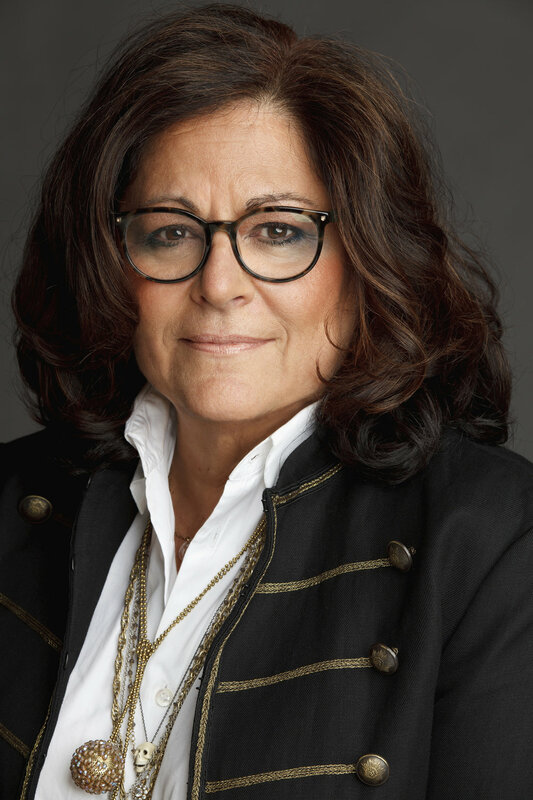 And whatever you do, don't miss the NFW Fashion Talks with fashion legends Fern Mallis and Anna Sui at Union Station Hotel on Friday afternoon! BEAUTY: Runway to Real Way at The Cosmetic Market is SOLD OUT! But, tickets are still available for five other NFW Learning Labs - CULTURE: Life Off the Runway with Amanda Valentine & Ayana Ife, CREATE: Margaret Ellis Jewelry Intro to Metalsmithing | Make Your Own Pearl Bangles, PHOTOGRAPHY: Behind the Lens with Brett Warren & Zachary Gray, BUSINESS: Social Media | Vanity vs. Effectiveness with Her Data Method and INFLUENCERS: Navigate the Influencer Space with Happily Grey + CLIQUE media | Moderated by Designer Chrissy Fogerty of Fauxgerty. Don't miss out on these unique educational opportunities! And then there is the big question...What are you going to wear to all of these marvelous events? Click HERE for full details on every Shop Nashville event that will take place next week. Nashville Fashion Week is a great excuse to go shopping! All NFW ticket holders get FREE admission to the Frist Center of the Visual Arts April 2 through 14 featuring the Nick Cave: Feat exhibit with proof of purchase. Proceeds from all Nashville Fashion Week events benefit the Nashville Fashion Forward Fund of the Community Foundation of Middle Tennessee. The Nashville Fashion Forward Fund is an endowed fund established to support the next generation of fashion industry professionals with ties to Middle Tennessee by providing a financial award and resources for experiential professional development opportunities. The countdown has commenced and everything about Nashville Fashion Week 2018 is ELEVATED! Join us Tuesday, April 3 through Saturday, April 7 at OZ Arts Nashville for a style-filled week. Opening night features the crowd favorite Nashville Designer Showcase, followed by the Ready-to-Wear Runway Show on Wednesday, Emerging Designer on Friday and the Finale Runway Show on Saturday night. 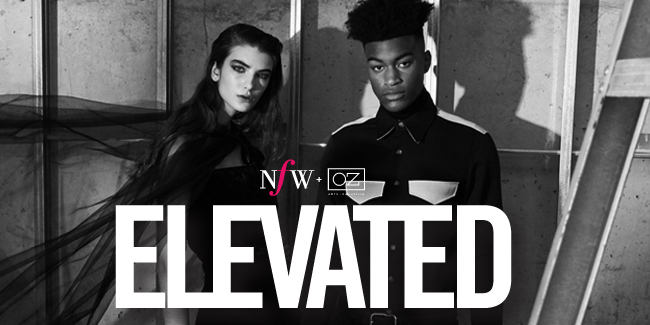 The new ELEVATED VIP experience, a musical performance and premium food and drink for both guests and crew insure that everyone will experience the best of fashion, food and entertainment during the five-day event produced in partnership with OZ Arts Nashville. Pre-show "open" cocktail reception featuring Maison Noir Wines and signatures drinks made by Bar Alliance Nashville with Tito’s Handmade Vodka and Corsair Artisan Gin. All Nashville Fashion Week ticket holders also receive FREE admission to the Frist Center for the Visual Arts from April 2-14 featuring the Nick Cave: Feat exhibit with proof of purchase. Escondido will be our musical guest during the Nashville Designer Showcase on opening night, Tuesday, April 3. Jessica Maros and Tyler James, both long time Nashville songwriters, recorded their debut album in a single day and released it in 2013 to critical acclaim. The duo's David Lynch approved sound became the soundtrack to multiple films & TV shows including HBO's Girls and led to appearances on TBS’s CONAN and ABC’s Nashville. The band has toured with the likes of Lord Huron, The Lone Bellow, and The Staves, and recently completed their third album with producer Rob Schnapf, known for his work with Elliott Smith, Kurl Vile, and Beck. 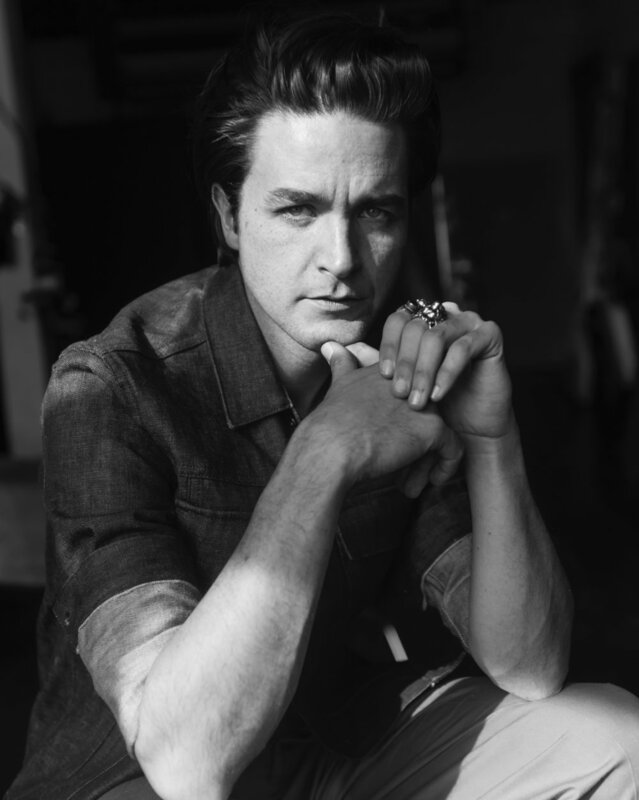 “We couldn’t be more excited to wrap our national tour at Nashville Fashion Week this year,” said Escondido artists Jessica Maros and Tyler James. “It has been inspiring to watch the community here grow and thrive over the last decade, and we can't wait to see all the talented designers' hard work on the runway. We are also looking forward to sharing some songs off our new album Warning Bells on opening night." All guests will have the opportunity to enjoy NFW's curated hospitality progam that includes G Catering, Maison Noir Wines and signature drinks made with Tito’s Handmade Vodka by Bar Alliance Nashville. Nashville Fashion Week designers, models, crew and volunteers will be fueled by catering courtesy of Vui's Kitchen, Juice Bar, Postmates and coffee from local roaster Red Bicycle. All tickets, including the ELEVATED Access Pass, are available for purchase at NashvilleFashionWeek.com. Ticket proceeds benefit the Nashville Fashion Forward Fund of the Community Foundation of Middle Tennessee. For more information about the ELEVATED VIP experience, designers, sponsors, and all other details, visit NashvilleFashionWeek.com. Happy New Year! 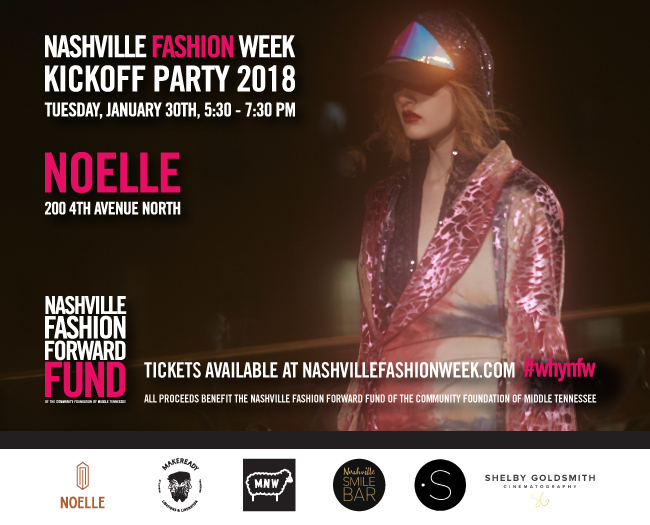 Join us for the Nashville Fashion Week 2018 Kickoff Party on Tuesday, January 30 from 5:30 - 7:30 p.m. at the new Noelle in the heart of downtown Nashville for the first of many big announcements to come. Guests will enjoy one drink ticket courtesy of Maison Noir Wines with delicious light bites provided by Makeready Libations + Liberation. The 2017 Nashville Fashion Forward Fund recipient, 2018 emerging and Nashville designers, AMAX + NFW model search finalists, confirmed sponsors and community partners, as well as many other exciting details about NFW 2018 will be announced at the party. All proceeds from Nashville Fashion Week benefit the Nashville Fashion Forward Fund of The Community Foundation of Middle Tennessee. The Nashville Fashion Forward Fund supports the next generation of fashion industry professionals with ties to Middle Tennessee by providing a financial award and resources for experiential professional development opportunities to assist in career advancement within the fashion industry. Past recipients include Brett Warren, Eric Bornhop, Ceri Hoover, Elise Joseph, Lauren Leonard and Julianna Bass. Nashville Fashion Week 2018 will take place April 3-7 in collaboration with OZ Arts Nashville. This is the first time in Nashville Fashion Week's eight year history that all runway shows will be held in a single location. Tickets to the Nashville Fashion Week Kickoff Party are $30. A limited number of tickets are on sale now. Don't miss out!